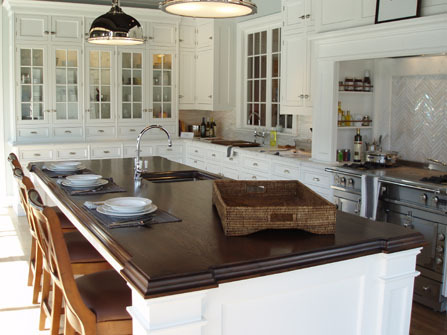 I recently had a conversation with a certified kitchen designer who said something interesting to me: She is no longer designing kitchens with one type of countertop material. Blasphemy! For eons, kitchen design has been like a one-trick pony—countertops kitted out in one material, be it stone, or laminate, or solid surface or whatever. Those walls have come down and mixing and matching is now in—has been for a while actually. So, it’s not unusual to see a kitchen with a stainless steel countertop around the sink (for water resistance), marble for the baking station, and perhaps stone near the stove (for heat resistance). But don’t be a philistine and mix any material you want, however. You still need to choose wisely. For my money, I like wood, which goes with just about anything you can imagine. 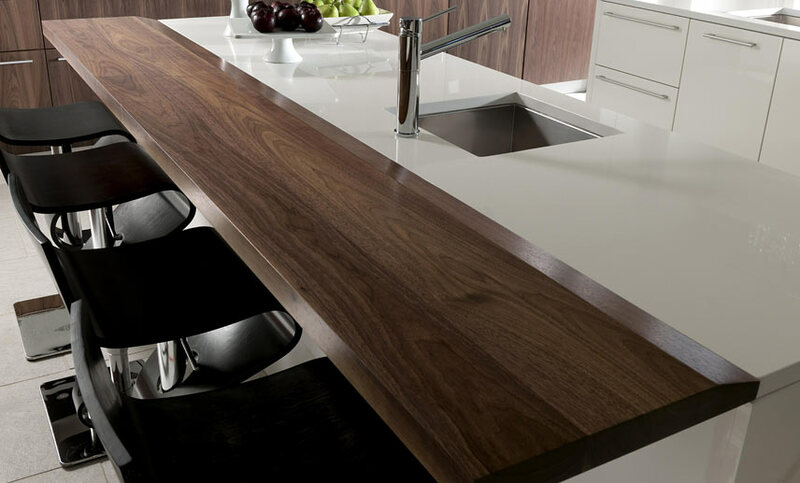 Though a wood countertop is not a perfect option and may not be appropriate for many situations, it’s the most gorgeous material on the planet. 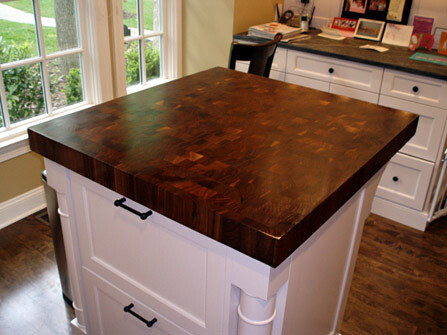 Wood countertops can be made from almost any specie, but the same considerations apply no matter what you choose. Watch out for standing water—The Enemy!—and edges near the sink; be careful with vinegar, which can etch the finish, and wine, which could stain. If you cut on your top, it will develop nicks, scratches, and marks. If this bothers you, learn to live with it (or just don’t cut on your top). 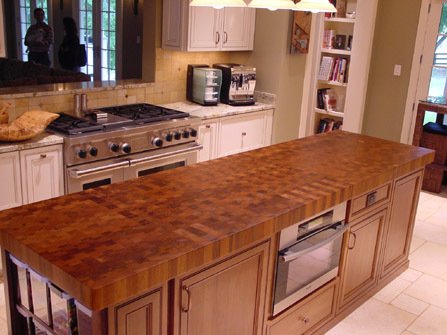 The truth is, wood is relatively high maintenance, requiring regular attention and oiling (if you choose a food-grade top), but it’s totally worth the trouble. Photo: Courtesy The Grothouse Lumber Co. 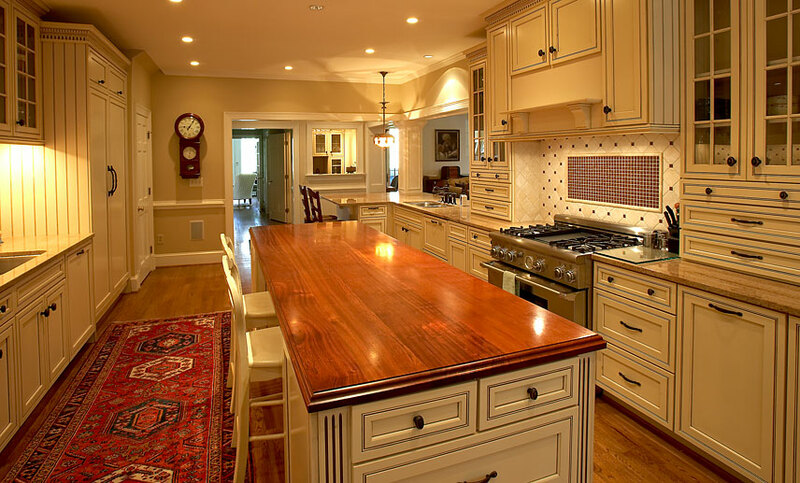 I really envy those houses with big and beautiful kitchen. I love to have a granite countertop with numerous cabinets and a big oven, but I guess it will still take me longer time to fullfill my dream kitchen. Fitzroy/ Great look. I’ll probably do butcher block when I redo the counter. I do, too. There is just something special about pairing wood with another material–especially stainless steel. They work well together. LOL! Opposites attract in so many ways.